We get it. Everyone wants an iPhone 7, a 4K TV and a new laptop. At least according to the Consumer Technology Association, which says those items are the year's most sought after. But the coolest and most buzz-worthy products don't quite fit into those buckets. From PlayStation VR and Nintendo's mini console to gorgeous connected watches from Kate Spade and Emporio Armani, here are our top picks of 2016. 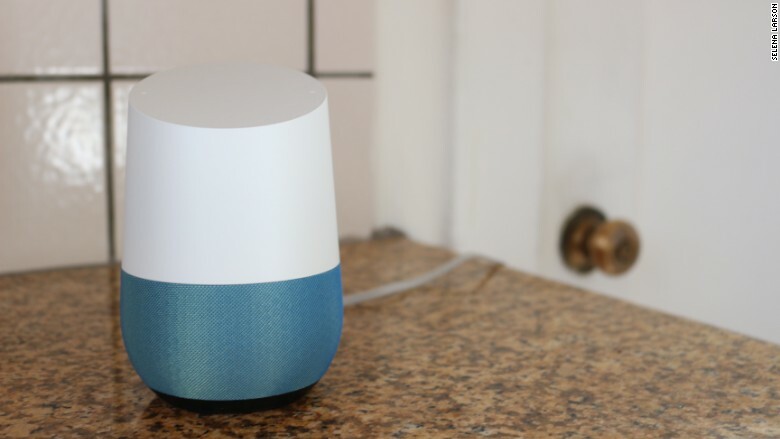 Amazon's (AMZN) Dot made our top tech gifts under $100 list, but Google's (GOOGL) new smart home speaker, appropriately called Google Home, missed the cutoff with its $129 price tag. The smart home hub is a hit among Android users, despite some early adoption hiccups. Similar to the Echo ($180) and Dot ($49), it reads you the news, answers your questions ("how many teaspoons are in a half a cup of flour"), plays music and controls your smart devices. Amazon might have a head start on the space -- with rich integrations with Uber, Spotify and Nest -- but Google is storing decades of search data that will likely give Home a leg up soon.